Square Enix has announced that a board game for the Wii that was previously only available in Japan will be making its western debut by the end of the year. 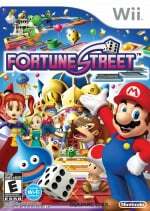 Developed by Square Enix, Fortune Street is a board game that features Nintendo and Dragon Quest characters. The concept isn't too far away from Monopoly as players race around the board in an attempt to accumulate wealth from playing the stock market and dabbling in real estate. Selling and trading property with other players will be an important aspect of Fortune Street and players will soon realise that making money can involve multiple levels of transactions. Players move around one of more than 15 boards, buying shops to build their portfolios and collecting symbols they can cash in at the bank to earn more gold to invest. It takes money to make money, so racing around the board may not be the best strategy. To capitalize on their monetary gains, players can make investments, play the stock market, purchase shops and collect shopping fees. Players with multiple shops adjacent to one another see them grow in value and their shops level up. Other players who land on those squares have to pay an increased shopping fee. Players can choose to play as a variety of Mushroom Kingdom characters, as DRAGON QUEST characters or even as their own Mii™ characters. More than 15 different game boards are available, providing endless replay value. The beginner setting helps newcomers learn the basics, while a more advanced mode introduces more challenges, deeper strategy options and the ability to play the stock market. The franchise has been a hit in Japan, and this marks its first appearance in North America. The game supports up to four players and is scheduled for a North American release in time for the holiday season. Did someone say Dragon Quest characters? This series has interested me for quite some time. It's good to see it finally coming to America. After all, the US loves Mario and fell for Dragon Quest IX. Plus, it's very cool seeing Mario have real text dialogue for once. More information Please Nintendo, O.K I'll be patient. I'll definitely be getting this. I have Itadaki Street DS and it's amazing, and combines my two favorite gaming worlds: Mario and Dragon Quest! I've noticed that lately Nintendo seems to be more interested in exposing America to Dragon Quest than Square Enix. 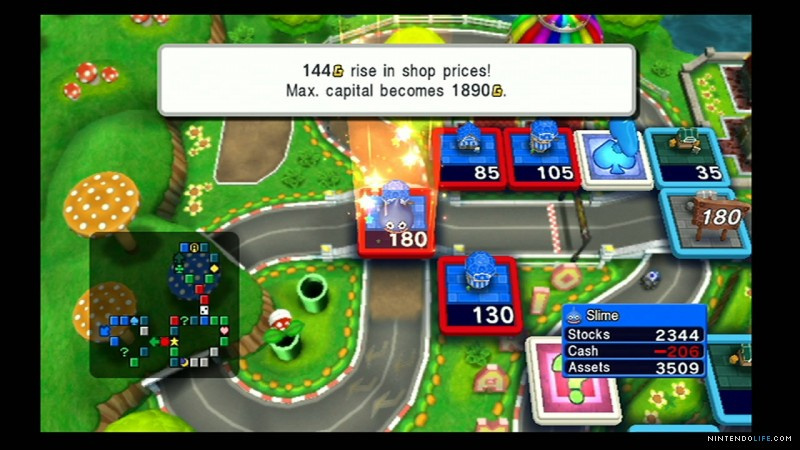 Omg, looks like Mario Party meets Monopoly. O.0 Still interesting, though. Agreed legochesser, that's what I thought when I saw the trailer. I like the game concept as I like both Monopoly and Mario Party, but I'm not an avid fan of the DQ series, so those characters mean very little to me other than the slime (who EVER gets tired of him?) I'll wait to hear more, I may still get it. Mario Party 9 or Fortune Street? I'll take both- but if I had to choose one, I'd go for Fortune Street. This looks interesting. Be nice if it has online... somehow I bet that is too much to ask for.